Since the North American introduction in the 1950’s, Toyota has fostered a growing presence in the United States that has blossomed in recent history. 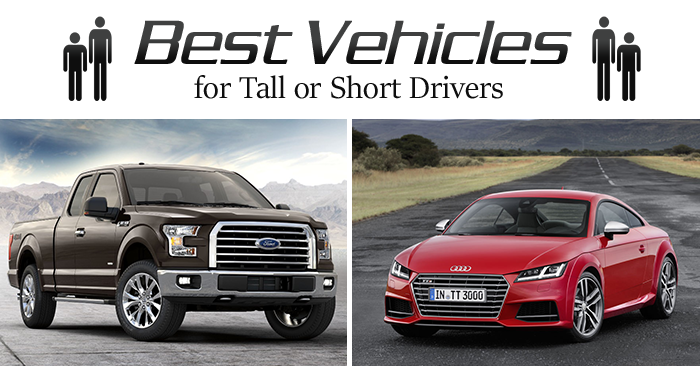 Known for their dependability (80% of Toyotas made 20 years ago are still on the road today), award winning designs (the most IIHS 2017 Top Safety Pick+ Awards), and value, Toyota vehicles outsell many domestic American makes and models year after year. Heading into 2017, things don’t look to be much different in terms of success. Toyota has introduced a new 3.5 L V6 that pairs with an 8-speed transmission to the Highlander and Sienna. 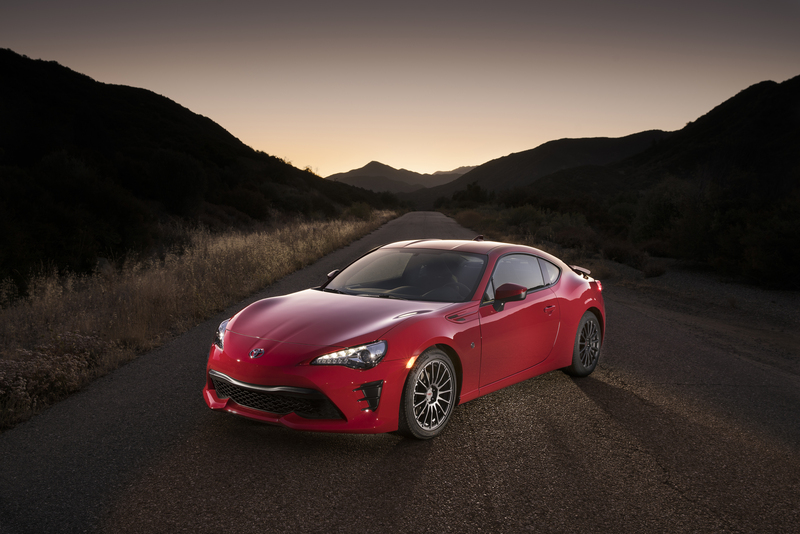 The Scion FR-S underwent a name change and new design to become the Toyota 86 and the Scion iA was rebranded the Toyota Yaris iA, while the Prius saw a new sub-model, the Prius Prime plug-in hybrid. Debuting for the 2017 model year is the 2017 Toyota 86 sport coupe. Formerly the Scion FR-S, the 86 is refreshed and tweaked to improve performance and is inspired by the AE86 Hachi Roku Corolla. The base manual pushes 5 more horses than the automatic, drumming 205 hp and 156 lb-ft of torque from the 2.0 L 4-Cylinder engine with dual direct and sequential port injection. If you are a sports car enthusiast, the 86 comes with Torsen limited-slip differential, sport-tuned independent MacPherson strut front suspension, and solid front and rear stabilizer bars. Front end styling is more aggressive and the car has a 0.27 Coefficient of drag. Toyota added all LED lighting for the lamps and turn signals as well as new alloy wheels. Interior updates include Granlux trim accents, a suede-esque material the covers areas of the doors and dash. Leather adorns the steering wheel and the seats are made with premium materials with silver stitching and feature knee support cushions. Integrated into the 7-inch touch screen display is voice recognition and hands-free phone capability, Bluetooth technology, and backup camera display. The backseats fold down to increase cargo area for weekends away from home. Safety features include Hill Start Assist Control, Smart Stop Technology, six airbags, Traction Control, and Vehicle Stability Control with Track Mode, which allows you to push the limits of the car before stability control kicks in. It’s a fun coupe to zip around in for the price. 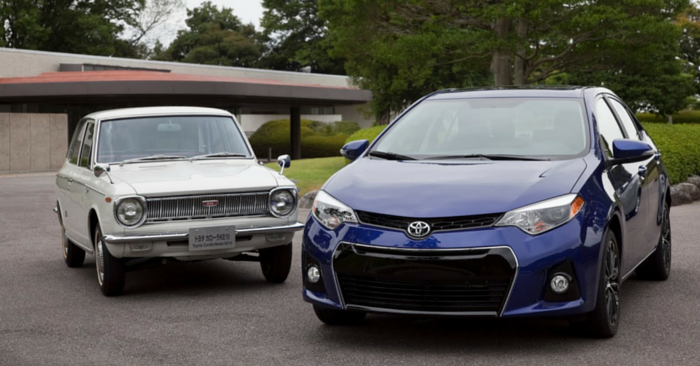 To celebrate the 50th anniversary of the Toyota Corolla, the compact gets a refresh and a 50th-anniversary special edition. 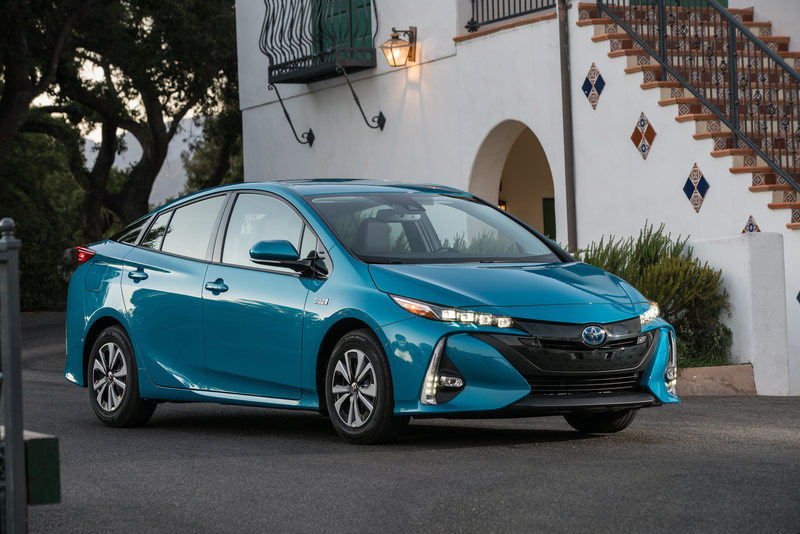 The fascia closely matches the appearance of Toyota’s Prius Prime, with sharper ‘dimples’ and wider grille. The LED headlights and taillights are also new. Inside, the 2017 Toyota Corolla comes standard with a 6.1-inch touchscreen integrated with standard review camera and voice recognition. The new active safety suite, Toyota Safety Sense, also comes standard, including Pre-Collision System, Lane Departure Alert, and Automatic High Beams. Under the hood, Toyota didn’t make any changes to the 1.8 L 4-Cylinder engine. The 132 hp and 128 lb-ft of torque will get you where you need to go, but don’t expect the experience to leave you needing to be peeled from your seat. The 50th Anniversary Special Edition comes in Black Cherry Pearl, Blizzard Pearl, and Silver with special badging and exclusive 17” alloy wheels. The interior flaunts black cherry accents and contrast stitching on the seats and dash. 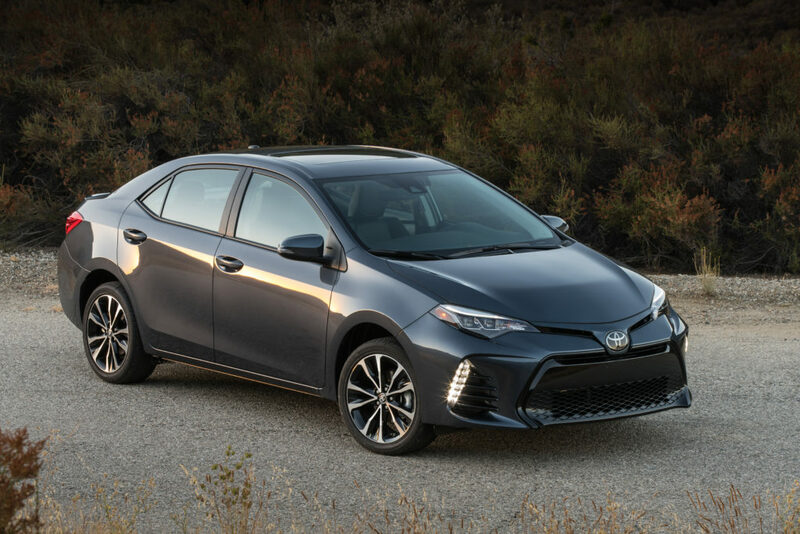 All in all, the refresh and Special Edition offer Corolla lovers and interested buyers incentive to invest in the 2017, with a price that sweetens the deal better than most vehicles on the market. 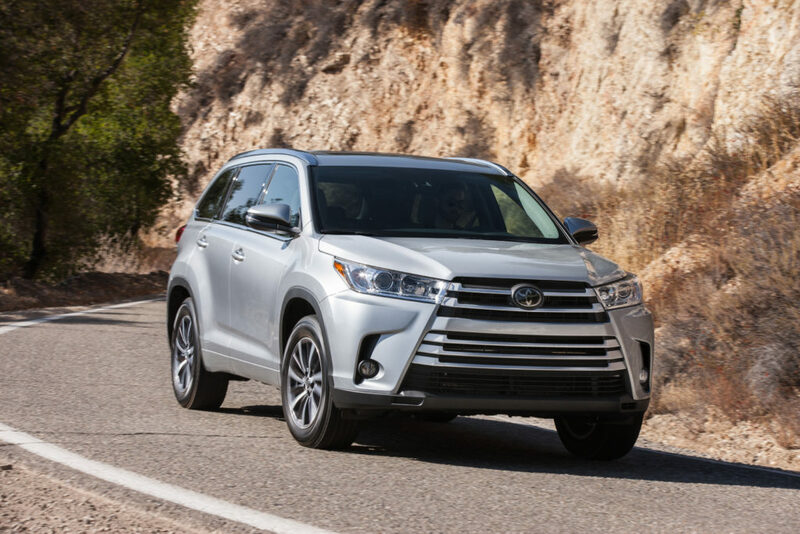 A revised fascia with refreshed headlights, grille, bumper, and new taillights come with the 2017 Toyota Highlander. Also included for 2017 is a new 8-speed transmission. Toyota increased horsepower by 25 horses in the 3.5 L V6. You can feel the extra horses when stepping on the gas and will appreciate the extra fuel efficiency that comes with the engine’s new tweaks. Tech for both the Highlander and the Highlander Hybrid include a 6.1-inch touchscreen, integrating Entune Audio, six speakers, voice recognition, Siri, back-up camera, auxiliary jacks and USB ports. The rest of the interior is unchanged from last year. It is still roomy with seating for eight, offering spacious three rows and plenty of cargo space for your gear. The 2017 scored an overall 5 Star NHTSA crash rating, and both the Highlander and Highlander Hybrid come with a new impressive set of Toyota Safety Sense features. Standard safety features include Pre-Collision Warning with Pedestrian Detection, Lane Departure Alert with Steering Assist, Dynamic Cruise Control, Smart Stop Technology, and Review Camera. It also comes with eight airbags including driver knee airbag and side curtain airbags. 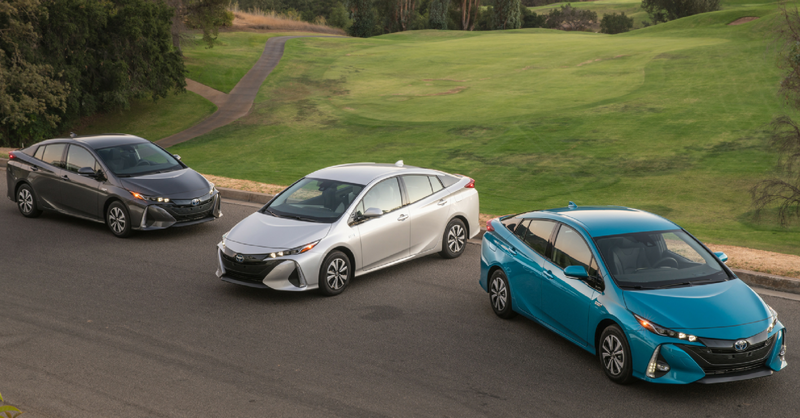 Available in three trims – Plus, Premium, and Advanced, the plug-in Prius is newly branded as the 2017 Toyota Prius Prime, and gets a battery upgrade and new fascia and rear-end. The new sub-model receives a sharper, more aggressive appearance. 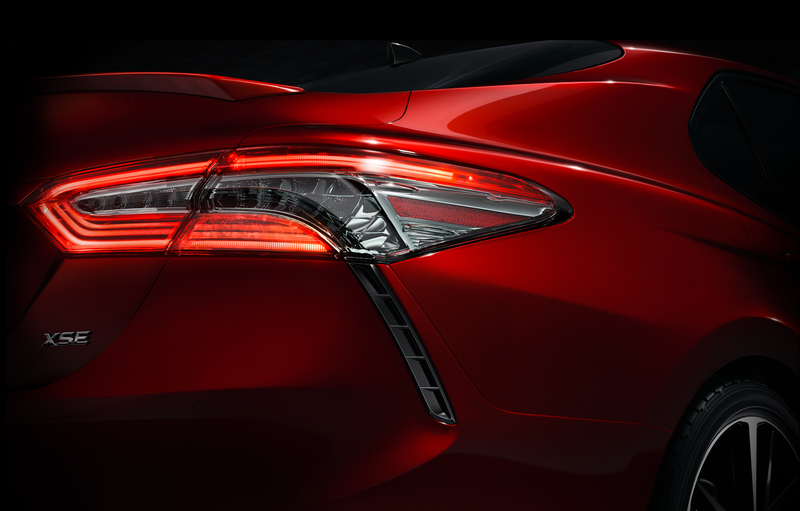 Quad-LED projector headlights and tall LED running lights run along the outside of the nose of the ‘dimples.’ The rear-end hatch is made from carbon fiber and feature futuristic taillights. Like other Prius models, it is unique in appearance, to say the least, but fun nonetheless. Battery capacity has doubled from 4.4 kWh to 8.8 kWh, increasing the range to 25 miles at 84 mph. Toyota Safety Sense comes standard with all three trims and includes Pre-Collision System, Lane Departure Alert, and Automatic High Beams, as does the 7-inch multimedia display with Entune App Suite. The Premium and Advanced trims receive an 11.6-inch touchscreen. Interior materials are soft-touch and premium. The back seats fold down for more cargo space, and heated seats come standard. 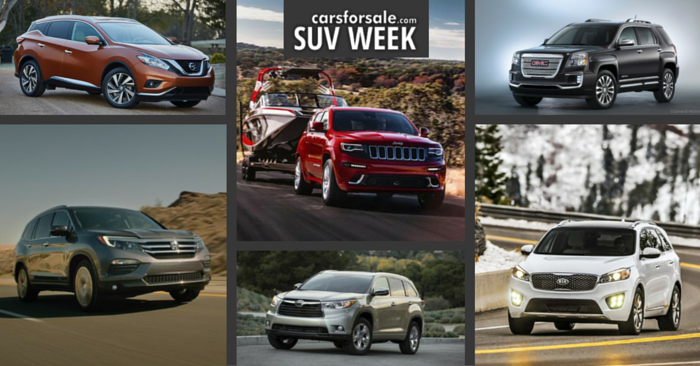 America’s bestselling passenger car gets a complete makeover. Expect more details soon, as it is set to debut at the 2017 North American International Auto Show in January. 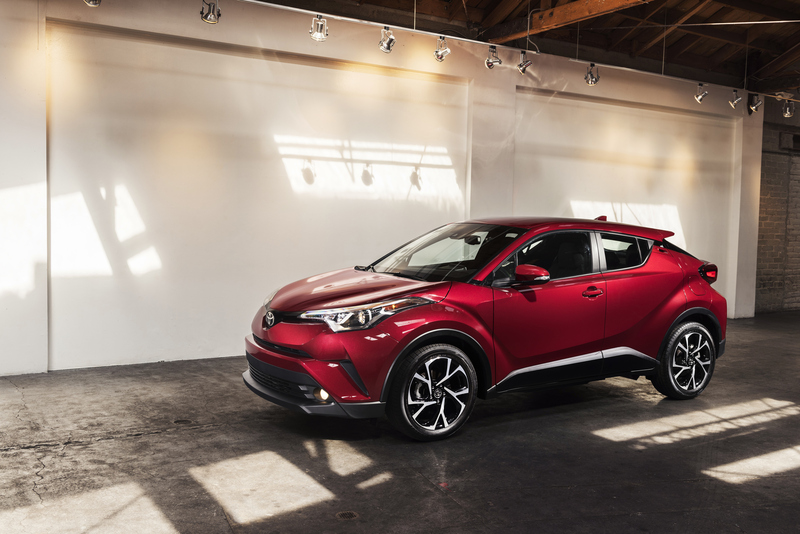 The 2018 Toyota C-HR, or Coupe High-Rider, arrives at dealerships in spring. 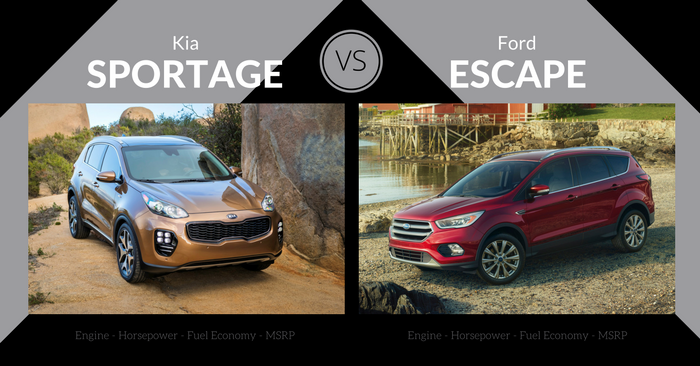 It’s not quite a coupe, and not quite a crossover. To be honest, we can’t wait to see it. Designed to exhilarate the driver at any time, it pairs performance with comfort and practicality. Step into the driver-centric “MeZONE” and experience the latest in tech and comfort. The 7-inch display sits atop of the dashboard to reduce time that eyes are off the road. Powering the C-HR is a 2.0 L 4-Cylinder pushing 144 hp and 140 lb-ft torque. Standard Toyota Safety Sense features include Pre-Collision System with Pedestrian Detection, Forward Collision Warning and Automatic Emergency Braking, Lane Departure Alert with Steering Assist, and Dynamic Radar Cruise Control (the only competitor in the segment to offer standard Full-Speed DRCC). Continuing to influence Toyota’s designs is the Toyota FT-1 Concept. While we may never get one of our own, it’s still fun to drool over. Which 2017 Toyota are you most excited for? Let us know in the comments!